University Express has launched The Under 25 Summit which is a platform where entrepreneurs who disrupted the industry under 25 years of age will share their story, journey and experience to inspire future change-makers. 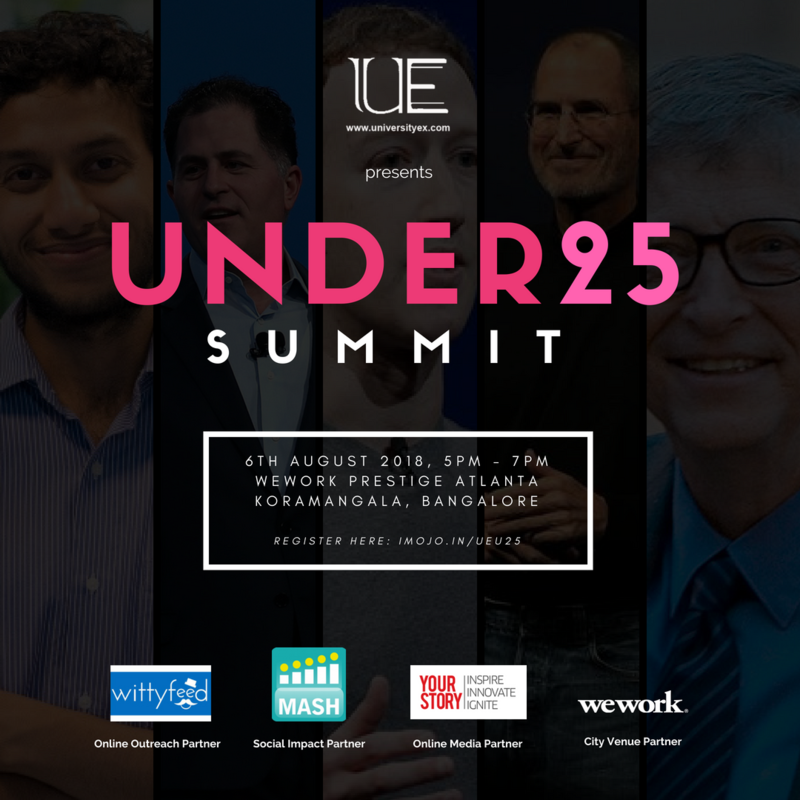 The first chapter of the #Under25Summit is taking place at WeWork Prestige Atlanta, Koramangala in Bangalore on 6th August 2018, 5 PM - 7 PM. Listen to the most inspiring stories of people who created a dent in the world when they were under 25!